Residues of veterinary pharmaceuticals may enter water and soil via manure and dung. Veterinarians can reduce this environmental impact through their practices. These teaching materials were designed for further veterinary training. They consist of lecture slides and accompanying background material. The teaching materials are available to teachers and learners for free use. The aim of the teaching materials is to inform veterinarians about the side effects of their actions on the environment and to motivate them to continue engaging with this topic. It is intended to sensitise them to the environmentally friendly use of veterinary medicines and to give greater consideration to alternative measures for maintaining the health of individual animals and livestock. The teaching materials were developed under the lead of the Ecologic Institute for the German Federal Environment Agency (UBA). Umweltbundesamt (ed.) 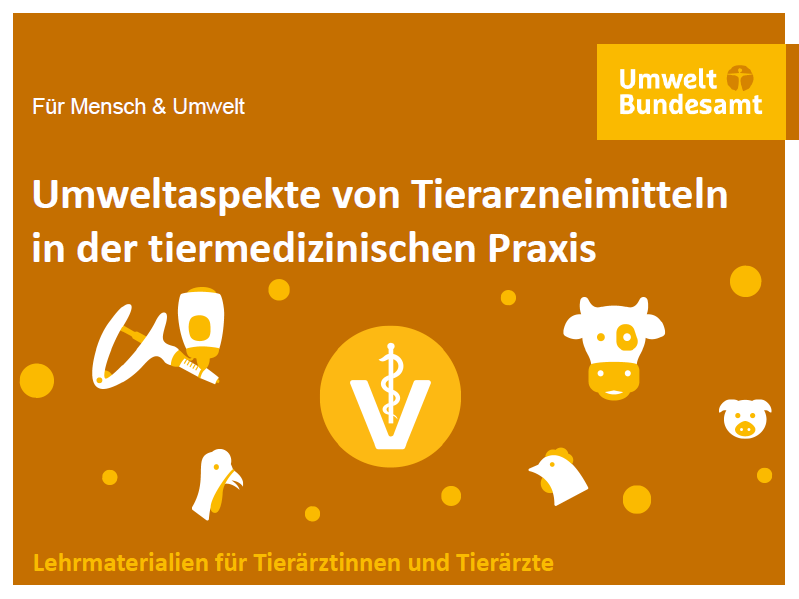 2018: Umweltaspekte von Tierarzneimitteln in der tiermedizinischen Praxis. Lehrmaterialien für Tierärztinnen und Tierärzte.